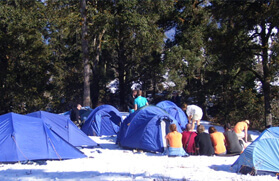 Uttarakhand is an empyrean for all those in quest of carrying out adventure in the midst of picturesque beauty of nature. 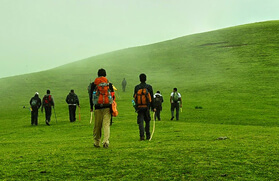 This north Indian state is replete with trekking options that make this state a great place to visit in all the seasons in a year. When it comes to trekking in India during the freezing months of winters, Auli Snow View Trek is a wonderful option to get drenched in the exquisiteness of nature and enjoy the breath-taking views of imposing Garhwal Himalayas. 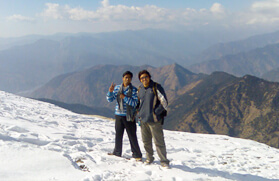 This 06 Nights and 07 Days of trekking is a tour to carry out Auli Snow View trek. 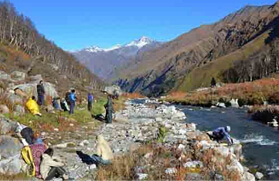 Major halts and destinations coming in the route are Rishikesh, Joshimath, and Auli. 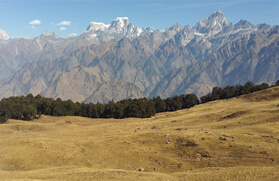 The trek starts from Auli. 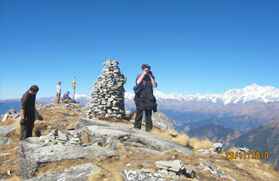 Enjoying the ropeway ride is an additional and congenial aspect of this trek. The spellbinding views of Mount Nanda Devi are no less than a treat for the eyes of adventure enthusiasts and nature lovers. 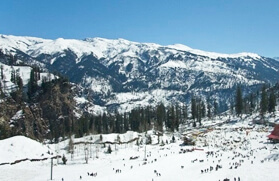 Auli is a great place to enjoying skiing during the winters. We will board an AC train from Delhi for Haridwar in the morning on day one to reach our first destination. On reaching at Haridwar railway station, meet our travel representative who will be there for your warm welcome and thereafter to transfer you to Rishikesh by road. On arrival, check in at your pre-booked hotel in Rishikesh and rest for some time. The evening is free at leisure. You can attend Ganga Aarti at Parmarth or explore the local market of Rishikesh and do some shopping. Later, return back to the hotel for dinner and an overnight stay. In the morning after breakfast, we will drive to Joshimath via Devprayag, Rudraprayag and Karnprayag. On reaching, check in at the already booked hotel in Joshimath and rest for a while. Later in the evening, we will leave to visit Shankaracharya Math and Narsingh Temple, two of the major attractions of the place and spend some quality time. Afterwards, we will return back to the hotel for dinner followed by an overnight stay. 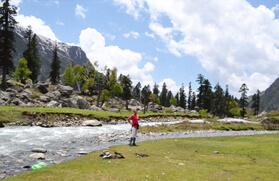 The day is fixed for adventure and fun to make your tour more exciting. We will get an opportunity to enjoy cable car ride from Joshimath - Auli. The ropeway is one of the largest and highest ropeways in India. 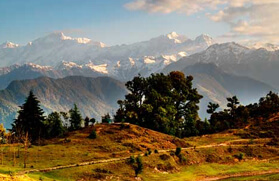 It allows riders to witness the stunning views of the beautiful Himalayan Mountains. 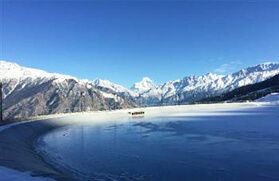 On reaching Auli, check in at the already booked hotel and have a relaxing overnight stay. For next two days, we will have early morning breakfast and leave for trekking to Gorson Bugyal, which is about 3 kms away from Auli. 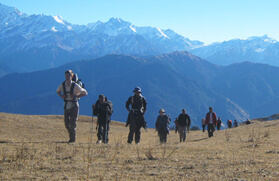 This short trekking will provide trekkers an opportunity to witness the astonishing Himalayan ranges and lifetime trekking experience. Also, one can enjoy skiing here. An overnight stay in the hotel in Auli. 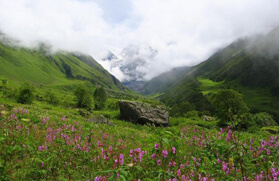 Today we will start our day a bit early in the morning and have breakfast to head to Joshimath by ropeway. On reaching Joshimath, we will drive to Rishikesh. On arrival, check in at the hotel in Rishikesh for a night stay. On the last day of our tour, we will leave from Rishikesh early in the morning after breakfast to Haridwar railway station to catch AC train for Delhi.